Cruise ships arrive into Yucatan Mexico via the small town of Progreso. The Yucatan is located southwest of Florida and its close proximity makes it a popular cruise ship stop. With the Gulf of Mexico on one side and the Caribbean on the other, the Yucatan has a warm, tropical climate. The Yucatan Peninsula is actually made up of 3 Mexican states - Quintana Roo, Campeche and the state of Yucatan. You will soon discover that when you begin to explore the area on one of our Yucatan Excursions that you'll find yourself surrounded by the lush rainforest. Round trip transportation from your Progreso bus terminal (free shuttle from your cruise ship to meeting location)! All you can eat buffet and open national bar! Use of the Silcer Beach Club facilities such as swimming pool, lounge chairs, umbrellas, kayaks, and many others! Option for drop off at the crafts market before returning to your cruise ship! Free WiFi at the Progreso Beach Club Silcer! Enjoy a special beach day in Progreso, Mexico, VIP style. You will enjoy the private all-inclusive Silcer Beach Club that will include gorgeous views, beach, watersports, activities and services as well as a traditional Mexican buffet, and an open bar. You even have round trip transportation from your Progreso cruise ship terminal included! Lunch and Open Bar depending on which package purchased! Use of the resort facilities such as swimming pool, lounge chairs, umbrellas, showers and many others! One of the most recommended all-inclusive beach resorts! 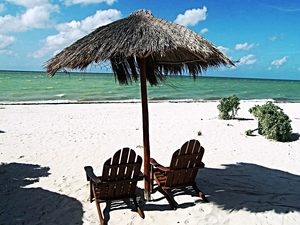 Enjoy your day in Progreso in one of the most popular beaches in the area at Technotel Resort. You'll have a beautiful and unforgettable day while you enjoy the pool, beach, food, and drinks. Fun in the sun! English speaking certified shore excursion guide! Entrance to the Uaymitun Bird Sanctuary! 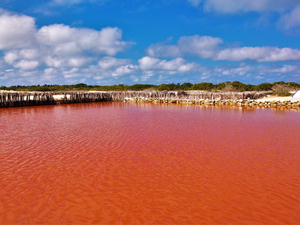 Visit "La Rosada" pink lagoon salt flats! Entrance to Xcambo Mayan Ruins with a guide! Access to the private Silcer Beach Club for you to relax! Use of the facilities of the beach club such as lounge chairs, umbrellas, swimming pool, showers, restrooms and kayaks! We have a wonderful day planned for you that includes flamingos, Mayan ruins, bird sanctuary, pink lagoon La Rosada, and a great beach break! Automatic Yamaha or Italika ATV! All equipment needed including helmets, knee and elbow guards and visibility vest! Entrance fee to Misnebalam Ghost Town! Complimentary purified water and soda! Entrance to Silcer Beach Club for beach break! Optional All Inclusive add-on for the beach! 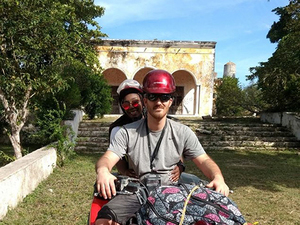 Abandoned ghost town and the thrills of riding an ATV, this is a great combo excursion. You'll get to visit an authentic ghost town that has an infamous history of ghosts, witchcraft, public executions and still active ghost by the name of "Julian". Entrance fee to Uxmal Mayan ruins! Box Lunch - Chicken burger, cereal bar, and bottled water! 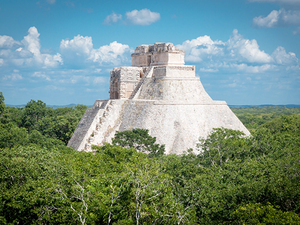 Explore the Mayan Ruins of Uxmal! Learn the history of the Pyramid of the Dwarf! 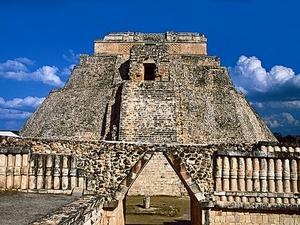 Uxmal, pronounced oosh-mahl, is an impressive set of ruins, easily ranking among the top Mayan archaeological sites. 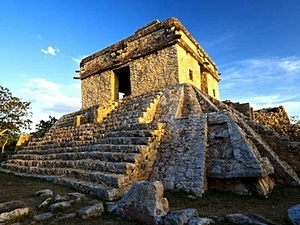 Come and enjoy this Progreso Uxmal Mayan Ruins Full Day Excursion and learn about the Mayan culture and its mysteries. Entrance to the Cuzama Cenotes! Platform ride pulled by mules! Safety equipment included for the cenote exploration: life vest, helmets and lamps! Take a trip back in time with horse-drawn buggies that will take you to see ancient freshwater cenotes. 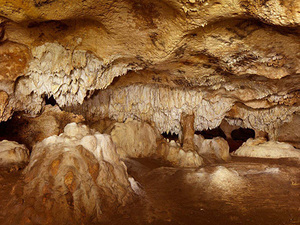 Surrounded by incredible tropical foliage, and one is located in a cave that is decorated by Mother Nature herself with fantastic stalactites and stalagmites and various markings on the walls! An amazing Progreso Excursion! Visit Merida City and see its colonial architecture! See the main sights and highlights of "Paris of Latin America"! Visit the local Mercado or central bazaar time allowing! With this Merida City Sightseeing and Shopping Excursion from Progreso, you'll get to know one of the most beautiful cities in southern Mexico. 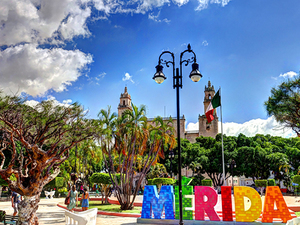 With a history dating back to the ancient Mayans, Merida celebrates the pride of a nation, state, and civilization. See the highlights and enjoy some shopping! Fully licensed and insured Scooter/Moped! All equipment needed including helmets! Sightseeing of the Malecon, Beaches, Main Square, Chelem Port, Cenote Corchito, Handcrafts Market and many more! Use of Kayaks and SUP boards! This is a perfect way to enjoy the sun-kissed beaches and city sights. 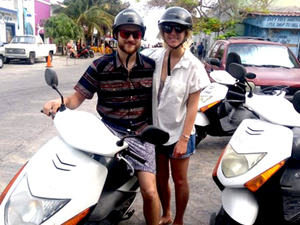 With this Progreso Scooter Sightseeing and Beach Break Excursion, you'll get to see places such as the Malecon, Chorchito Cenote and have a beach break at Silcer Beach Club. Air-conditioned, fully licensed and insured transportation from meeting point to beach club! Use of the resort facilities such as swimming pool, lounge chairs, umbrellas, showers, kids club, and many others! Option to shop at the crafts market before returning to your cruise ship! Free WiFi at the Progreso Beach Club Vista Mar! What a better day than a beach day! 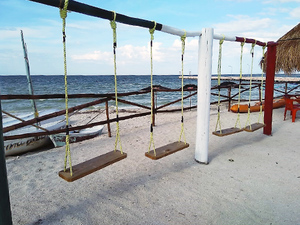 This brand new beach club in Progreso has everything you need to have fun for the day. Enjoy the pool, walk through the beach or simply relax at one of the lounge chairs. Food and drinks are available depending on the package you choose. Have fun! Round trip transportation from your Progreso cruise terminal! Visit Merida City and see colonial architecture! 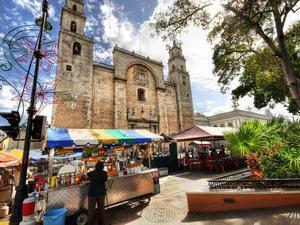 Take in the beauty of Merida City with a slower paced day of guided sightseeing and shopping. Enjoy the colonial architecture and sites of Merida. Entrance fee to Chichen Itza Mayan ruins included! 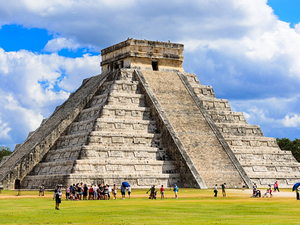 Visit one of the new World Wonders, famous Chichen Itza Mayan Ruins! Enjoy, experience, explore one of the most famous of all Mayan Ruins. 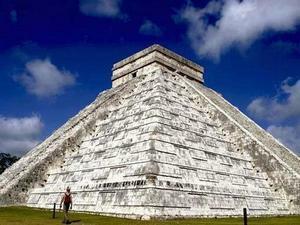 See Chichen Itza on a guided day excursion. Round trip transportation from your Progreso cruise ship terminal! Guided shore excursion of the ruins with federally trained, certified Mayan ruins shore excursion guide! Entrance fee to Dzibilchaltun Mayan ruins included! Explore the hidden Dzibilchaltun Mayan Ruins! See the fresh water cenote Xlacah with the opportunity to swim and refresh! Enjoy sightseeing along the way! A great example of Mayan Ruins without traveling a long way. Spend your day exploring and enjoy great sightseeing. View the fresh water cenote - XLacah! 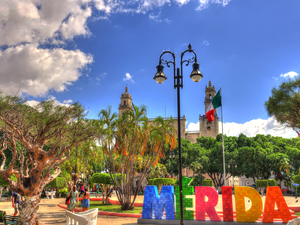 Enjoy a sightseeing trip to Merida City! 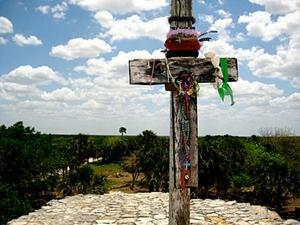 See the famous Dzibilchaltun Mayan Ruins and the Temple of 7 Dolls! 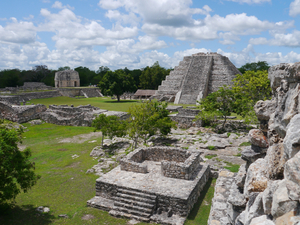 A great combination day of Dzibilchaltun Mayan Ruins and Merida City Highlights all on a guided excursion. Your private driver, English speaking and certified shore excursion guide and transportation for the day! All entrance fees and travelers insurance included! See the famous Chichen Itza, one of the latest World Wonders, in comfort and ease! 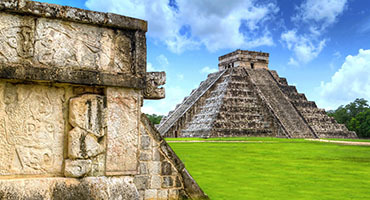 Explore Chichen Itza and learn about the famous Mayan Ruins with your private guide and transportation! Your own private English speaking and licensed shore excursion guide and driver! A private Progreso cruise excursion to see Merida City, the capital of the Yucatan! See the best highlights and sights of the "Paris" of Latin America! See the best of Merida City on a private guided excursion of the highlights, sights and enjoy some outstanding shopping opportunities- private guide, driver, transportation! Fully licensed and insured and air-conditioned shore excursion transportation! Entrance to Mayapan archeological site! Entrance to Nah Yah cenote! 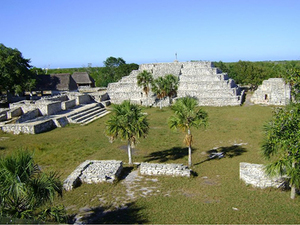 Explore the archeological site of Mayapan. These Mayan ruins are considered the last Mayan capital of the postclassic era, you can find a pyramid similar to the Kukulcan Castle and more than 4,000 structures in this place. Then refresh yourself in the cool fresh water of a cenote. Fully licensed and insured shore excursion transportation! Safety equipment: helmets and lanterns! Opportunity to swim in one of the cenotes! Join us in this unforgettable Progreso Excursion. 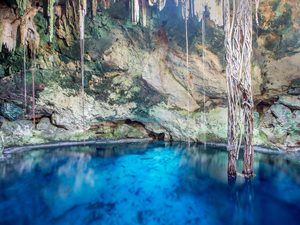 You'll explore an amazing cave with 13 cenote sinkholes! Be amazed by one of the chambers that resemble the cathedral of Merida! This excursion is beyond words! Entrance to the Estuary "Ria Progreso"! Access to a private beach for you to relax! Use of the facilities of the beach club such as lounge chairs, umbrellas, swimming pool, showers and restrooms! Come and explore the beauty of nature on a kayak, and then finish your day on a beautiful beach. 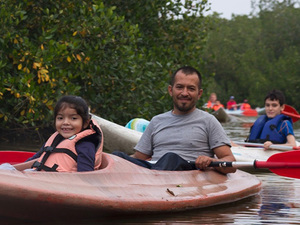 Kayak through the lovely, quiet, and nature filled mangroves. Then it would be time to go to the Silcer Beach Club to relax and enjoy the rest of your day! Entrance fee and guided walk through at Xcambo Mayan Ruins! Admission to the Tecnohotel Beach! Photo stop at the pink lagoon! All you can eat snack buffet and open bar! Use of the beach facilities: swimming pool, poolside bar, beach, lounge chairs, umbrellas, beachside palapas, showers, etc.! 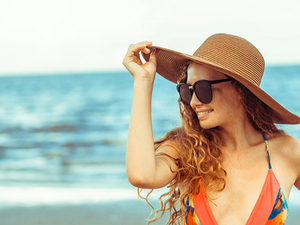 Come and spend a unique day with this combo excursion that will take you to visit Mayan ruins and then go beach side with a delicious buffet and open bar! Photo stop at the pink lagoon. Round trip transportation from your Progreso cruise pier (free shuttle from pier to the meeting point included)! 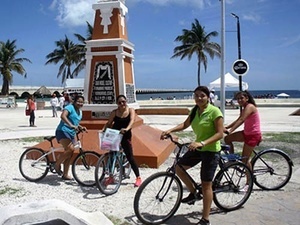 Slow paced guided bicycle sightseeing excursion of Progreso! Single speed beach cruiser type bicycle and optional helmet! Entrance to Silcer Beach Club! Welcome drink at Silcer Beach Club (beer, soft drink or cocktail)! For guests who like to be active, a fun combo of slow paced bike ride, sightseeing and some great beach time at Silcer Beach! Entrance to Dzibilchaltun Mayan Ruins with guide! Complimentary bottled water at the ruins! Access to Silcer Beach Club! 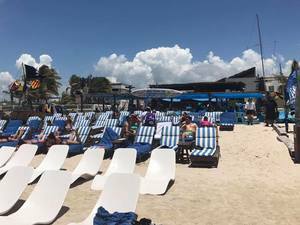 Use of the Beach Club facilities such as adults and kids swimming pool, lounge chairs, towels, umbrellas, kayaks and many others! Free WiFi at Silcer Beach Club! Optional All Inclusive package or just day pass only! A great combo excursion to explore the impressive Dzibilchaltun Mayan Ruins, have a chance to swim in a fresh water cenote, and then relax at a beautiful beach club with all the amenities! Entrance to the Sotuta de Peon Hacienda plus a complimentary welcome drink! Full access to the henequen agave production area, including the machine house, scraper machine, drying area, bummer press and finish goods warehouse! 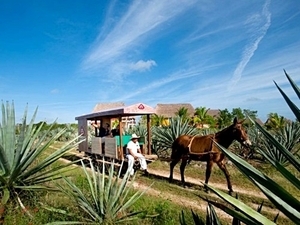 Truck ride (platform pulled by mules) plus visit a traditional Mayan house! Visit and swim at the Dzul-Ha Cenote, part of world famous and unique natural wonders of the Yucatan Penninsula in Mexico! Come along with us while we travel back in time to the days of elegance at an original Yucatan Agave Hacienda built in the 1800's. 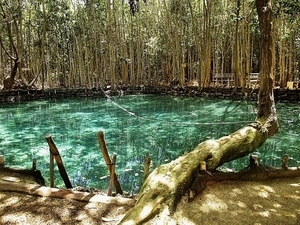 Then take a dip in one of the world famous Yucatan Penninsula freshwater cenotes! A great combo Shore Excursion from Yucatan, Progreso! Entrance to the Natural Cenote Reserve! Photo stop at the famous Progreso Malecon! For all those who love nature, this is a great Progreso Excursion for you! Come along and explore one of the most important Ecological Reserves in the Yucatan peninsula including the famous cenotes and enjoy beach time! English speaking certified Progreso shore excursion guide! Entrance fee to Uxmal Mayan ruins included! Get away from the cruise ship crowds on your private Mayan ruins shore excursion! Explore and experience a private guided excursion of Uxmal - see the impressive, ornate structures of the famous un-crowded ruins. 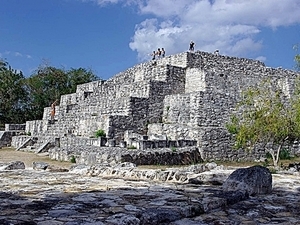 Your private guided Progreso cruise excursion of Xcambo Mayan Ruins! English speaking and certified shore excursion guide, federally licensed! Half-day shore excursion with time for more in port! The un-crowded, lesser known but outstanding Mayan Ruins at Xcambo await on this private guided excursion. Your private English speaking certified shore excursion guide and transportation! No big cruise ship crowds to deal with! 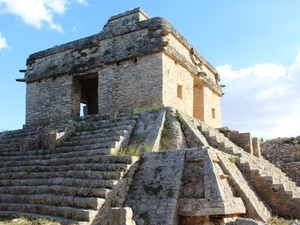 See the Mayan ruins of Dzibilchaltun in style! A private Progreso excursion to see the Dzibilchaltun Mayan Ruins. Enjoy sightseeing, shopping, ruins and more! Time after to head to the beach. Round trip transportation from your Progreso cruise ship pier terminal! English speaking certified Mayan Ruins shore excursion guide! Entrance fee to Uxmal ruins! 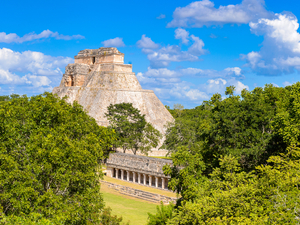 Explore the ancient Mayan World on this Progreso Excursion and enjoy the beautiful Mayan Ruins of Uxmal. Sightsee with your English speaking guide. Roundtrip transportation from your Progreso cruise ship terminal! Enjoy a relaxing, all inclusive day at the beach with open bar, snack buffet, swimming pool, lounge chairs and more!